“What Government is doing is making sure all our State agencies are focused on the need to retain jobs and create jobs…,” he said. The groups attending the meeting were the IDA; Enterprise Ireland; Forfás; Fás; Bord Bia; Fáilte Ireland; Tourism Ireland; Science Foundation Ireland; the Sustainable Energy Authority; the Higher Education Authority and the City and County Managers Association. Tá an IDA agus Enterprise Ireland luaite ar an liosta seo – ach cá bhfuil Udarás na Gaeltachta, áisínteacht atá chomh h-eifeachtach ar a laghad ag cruthú postanna is atá an bheirt eile. Níl a fhios agam an é an Irish Times a d’fhag an tUdarás ar lár ón dtuairisc – nó ná bhfuair siad cuireadh a bheith i láthair. Cé go bhféadfadh sé tarlú go raibh an tUdarás i láthair ach gur fhagadh ar lár ón dtuairisc iad, ní doigh liom gur sin a thárla. Creidim gur léargas é seo ar chomh h-imeallach is atá an Ghaeltacht/an Ghaeilge de rér an Rialtas. Botún é an Ghaeilge/an Ghaeltacht a fhágaint ar lár. Agus, gan amhras, cuireann sé ceist bunusach mar gheall ar choimitmint an Rialtais i leith a Ráiteas i leith na Gaeilge (2006) agus gach a lean é sin. An bhfuil an Ghaeilge is an Ghaeltacht lárnach nó imeallach i saol na tíre chomh fada is a bhaineann sé leis an Rialtas? Foilsiú: 22/09/2010 . igaeilge a d’fhoilsigh. Ranganna: An Ghaeilge, Cúrsaí Reatha, Cultúr, Nuacht. Clibeanna: An Bórd Snip Nua, An Roinn Ghnóthaí Pobail Tuaithe agus Gaeltachta, Éamon Ó Cuív, Brian Cowen. Seo tagairt spéisiúil ón gComhéisiúint Phreasa a foilsíodh mar thuairisc ar an gcruinniú den Chomhaireacht Thuaidh Theas an tseachtain seo chaite. 9. The Council discussed staffing issues in Foras na Gaeilge and noted that arrangements are in place to fill 5 posts in Gaoth Dobhair and 3 posts in Dublin. The Council noted that Sponsor Departments have received an application from Foras na Gaeilge for additional contract staff to complete the English-Irish Dictionary Project. Ministers asked that consideration of this request be completed as a priority and a recommendation presented to the next NSMC meeting in Language sectoral format. 10. The Council welcomed the Foras na Gaeilge review of its core-funded organisations. Ministers agreed that core-funding of the Irish language voluntary sector by Foras na Gaeilge be reconfigured on the basis that Foras na Gaeilge will set high level strategic priorities. Applications for funding will be invited from the voluntary sector, within these strategic priorities, for one or a limited number of organisations with a representational, information dissemination, resource and support provision and advocacy role for the sector as a whole; and at local area level, groups that take an integrated approach to promotion of the Irish language, including working in community, family, educational and youth settings. This reconfiguration is to ensure a more effective, streamlined and cost effective approach to funding of the sector. I bhfocail eile tá sceannairt le déanamh ar earnáil deonach na Gaeilge chun ‘a more effective, streamlined and cost effective approach to funding of the sector’ a bhaint amach. An comhtharlúint é go mbeidh 16 phost nua ag Foras na Gaeilge do ‘innealtóiri teanga’ is a thuilleadh nach iad d’oifigí na h-institiúide i mBéal Feirste, Baile Atha Cliath agus, a bhuiochas do dhílarnú, Gaoth Dobhair? An bhfuil an Foras féin ‘streamlined’ agus ‘cost effective’? Níl an Buiséad fógartha go fóill ach dar liom tá feartlaoi na n-eagras Ghaeilge scríofa ann in áit éigean. Ní doigh liom mar shampla go mbeidh airgead breise ann d’Fhoras na Gaeilge agus mar sin caithfidh siad an airgead atá á chaitheamh acu ar na fostaithe nua seo – Seisear Déag an Fhorais – a fháil in áit éigean. Is cinnte go dtiocfaidh an t-airgead seo ó chistí na n-eagras Ghaeilge, iad san fiú atá luaite mar eagrais croí mhaoinithe. Anois táim cinnte go bhfuil daoine ann a cheisteoidh cé acu chomh eifeachtach is atá na h-eagrais croí mhaoinithe seo – cuid acu ar aon nós – agus go n-aontóidh siad, b’fhéidir, gur cheart go mbeadh ath-eagar éigean ar an earnáil. Ach an é seo an bealach chun tosaigh? Tá caipéis spéisiúil eile faighte agam le déanaí freisin – coip de mhiontuairiscí chruinniú idir an Roinn Ghnóthaí Pobail, Tuaithe agus Gaeltachta agus an Bórd Snip Nua ar an 8ú Aibreán. Tá an mhír deireannach sa chaipéis seo – atá ar fáíl ina ionláíne thíos – an spéisiúil mar gheall ar an léargas a thugann sé ar chur chuige agus aidhmeanna an Chomhairle Aireachta Thuaidh Theas…. Mary Walsh [ball den Bórd Snip Nua] noted that Foras was providing funding for 19 organisations. She asked if there was a problem with the number or range of organisations. DCRGA replied that there are different niches. At NSMC it was decided that there was potential for collapsing the number. Agus anois tá ‘athbhreithniú’ déanta ag Foras na Gaeilge ar eifeacht agus líon na n-eagras Ghaeilge agus mar thoradh ar sin is é an moladh atá ann go mbeadh comórtas ann chun eagras amháin nó líon teorannta eagrais a bheith ann chun obair na n-eagras Ghaeilge a dhéanamh. Sin tairiscint nach feidir a dhiultú – bí pairteach i gcomórtas chun do phost a choimead! Agus ós rud é nár ghearán na h-eagrais Ghaeilge faoin gcur chuige seo nuair a bhí na comórtais á reachtáíl do na nuachtáin Ghaeilge, cén slí gur féidir leo cur i gcoinne seo? Ní aontaim leis an gcur chuige seo ar chorr ar bith. Is cuimhin liom feidhmeannaigh an Fhorais bheith ag caint ar ‘phairtíocht’ roimhe seo ach ní thuigfeadh siad páírtíocht dá dtabharfadh sé cic sa tóin dóibh. Ba cheart suí síos le na h-eagrais agus cur chuige aontaithe a bheith ann agus an ‘streamlining’ a bhaint amach i slí atá comhaontaithe. Má tá ceisteanna le cur faoi líon na bhfostaí ag na h-eagrais Ghaeilge, tá na ceisteanna céanna le cur fá thrí faoi líon agus éifeacht na bhfostaithe ag Foras na Gaeilge féin. Tá barúil agam, afach, má tá pobal na Gaeilge le teacht slán go mbeidh gá le h-eagras Ghaeilge atá go h-iomlán neamhspleach ar an Rialtas agus go gcaithfimíd íoc as sin. Mar atá sé tá an cumhacht ar fad ag an Rialtas agus ag an bhForas – agus anois tuigimíd cad é atá ar bun acu agus ní h-é leas phobal na Gaeilge an cloch is mó ar a bpaidrín. Mar aguisín, is léir ón ráiteas seo ó Ghearóid O’hEara thar cheann Shinn Féin, nach líonmhar iad cairde na Gaeilge i measc cheannairí an phairtí sin. Ritheann sé liom go bhfuil an cumhacht anois ag baill SF ar bhórd an Fhorais an scian a chur in eagras ar bith nach gcreideann siad a bheith ag teacht le tuairimí SF. Lucht Sinn Féin ag caint ar ‘luach ar airgead’ – anois tá deireadh cloiste agam. Cad faoi luach na votaí! Foilsiú: 09/12/2009 . igaeilge a d’fhoilsigh. Ranganna: An Ghaeilge, Cúrsaí Reatha. Clibeanna: An Bórd Snip Nua, An Roinn Ghnóthaí Pobail Tuaithe agus Gaeltachta, Foras na Gaeilge, Sinn Féin. Fuaireas an r-phost seo ó Mhícheál O Máirtín ar maidin inniu ag iarraidh orm, i mBéarla amháin, votáil don Chonradh seo agus, anuas ar sin, ag lorg €20 uaim ar son an fheachtais a mhaíonn siad bheith ar siúl acu ar son an Chonartha. A leithéid de ráiméis. 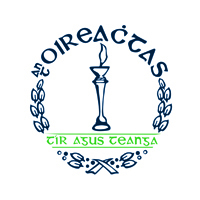 Níl aon feachtas ar siúl ag Fianna Fáil – nó ag aon pháírtí eile – seachas ar na meáin agus is beag an dealramh atá le sin. An oiread is nach é Mícheál O Mairtín a sheol an r-phoist chugam, seachas feidhmeannach íseal i gcomhlacht Blue State Digital i Meirceá, níl bun nó barr leis an bhfeachtas bréagach seo. D’oibrigh feachtas den chineál seo do Bharack Obama – ach ní h-ionann Fianna Fáil agus Barack Obama. Tá an chuma ar an Rialtas go bhfuil sé ag titim as a cheile agus an Tánaiste, Máire Ní Chochláin, ag tabhairt le fios nach luíonn go leor moltaí i dTuairisc an Bhord Snip le ciall. Gan amhras níl ciall leo ach sa mhéid is go gcaithfear teacht ar €5bn in áit éigean i mbliana agus an méid céanna arís i 2010 agus i 2011. Conas a dheinfear sin gan coigiltis a chur i bhfeidhm, níl a fhios agam. Ar aon nós, léiríonn an méid a bhí le rá ag Máire Ní Chochláin inné go bhfuil dóchas ann do na grúpaí feachtais éagsúla atá buartha faoi thua Mhic Charthaigh a bheith ag titim ar a n-earnálacha. Gan amhras tá an Roinn Airgeadais tar éis freagra a thabhairt ar na ceisteanna a thóg chaint Uí Chochláin – ach tá an praiseach ar fuaid na miasa anois. Foilsiú: 24/09/2009 . igaeilge a d’fhoilsigh. Ranganna: An Ghaeilge, Cúrsaí Reatha. Clibeanna: An Bórd Snip Nua, Conradh Liospóin, Fianna Fáil. Tá daorbhreith tugtha ag Roinn an Airgeadais ar éifeacht na ndeontaisí Ghaeltachta éagsúla, idir Scéim na Mná Tí, Scéim na bhFoghlaimeoirí Ghaeilge is eile, i litir atá faoi chaibidil in alt atá foilsithe san Sunday Tribune ag an deireadh seachtaine. Caithfear a admháil, creidim, nach daoradh gan dealramh é an méid atá luaite sa litir seo ó Sráid Merrion, ceathrú ná raibh riamh caradach don Ghaeilge nó don Ghaeltacht agus atá go leor ceisteanna le freagairt ag na h-áitritheoirí faoin pháírt a ghlac siad féin i gcliseadh an gheilleagair agus ruaigeadh an Tiogair. In correspondence between finance minister Brian Lenihan’s department and Colm McCarthy’s An Bord Snip Nua seen by the Sunday Tribune, Finance suggested to McCarthy that the many Irish-language and rural-support grants should be abolished because they were simply not working. An bhfuil siad ag obair? Agus mura bhfuil, cad é an eifeacht atá leo i bhfirinne? Nach bhfuil i gceist ach an ‘status quo’ a choinneáil mar atá sé? Tá mise i gcoinnibh an Status Quo – agus ní h-é an banna ceoil iomráiteach atá i gceist agam. Creidim go bhfuil gá le h-athrú cur chuige agus gealltar dúinn go mbeidh seo le sonrú sa Phlean (neamh fhoilsithe) chun an Ghaeilge agus an Ghaeltacht a athréimníú. Tá’s agam – Plean 2028 atá i gceist agam – ach mothaím go bhfuil an dhá rud pósta le cheile anois agus nach féidir ceann acu a scarúint ón gceann eile. On a variety of grants to support the Irish language, Finance was highly critical of Ó Cuív’s spending habits. On the Scéim Labhairt na Gaeilge, which gives an annual grant of €260 to economically deprived Irish-speaking families, Finance said the scheme “no longer [fulfilled] its original purpose”. Ar ndóigh, níl aon cheangal ann ar an t-é a bhfaigheann an deontas seo bheith ar an ngannchuid mar atá luaite anseo. Níl a fhios agam cad é an ”original purpose” a bhí ag an scéim seo thar go raibh sé ag iarraidh ‘labhairt na Gaeilge’ a spreagadh. Ach creidim go bhfuil an cheart ag an Roinn Airgeadais a rá nach bhfuil sé ag déanamh seo. Conas a spreagann an t-airgead seo páistí óga chun Gaeilge a labhairt? Mo mholadh féin: an t-airgead seo a chaitheamh ar shuíomhanna idirlín agus scéimeanna chun úsáid na Gaeilge a spreagadh i gcluichí ‘Nintendo DSI’ ar nós Super Mario! Sílim gur botún é, áfach, an tua a thabhairt do Scéim na Mná Tí agus go bhfuil sotal ar chúl an raitis seo ó Roinn an Airgeadais. On the €10.50 per day paid to Gaeltacht households who accommodate students attend ing Irish-language courses, the Merrion Street mandarins said “a reduction to €5 per day would not impose any undue hardship”. B’fhéidir dá laghdófai liuntaisí na statseirbhíseach i Roinn an Airgeadais go dtí €5 in aghaidh an lae go mbeadh tuiscint níos fearr acu ar céard is ‘undue hardship’ ann. An t-aon freagra a bheidh ar an gcinneadh áfach an praghas atá á ghearradh ar áiteanna ar na coláistí Samhraidh a ardú €100 – €150 agus gan amhras cuirfidh sin go leor teaghlaigh a chuireann a bpáistí chun na Gaeltachta ó dhoras agus cuirfidh sé poll mór i ngeilleagar na Gaeltachta. Creidim go bhfaigheann an Rialtas an €10.60 agus tuilleadh le cois ar ais. Ag an am chéanna, tá gá le h-athrú ar an gcur chuige. Tá gá le cur chuige atá samhalaíoch agus a théann i ngleic i gceart le na fadhbanna is na dúshláín. Ní léir go bhfuil an teachtaireacht sin ag dul i bhfeidhm go fóíll…. Foilsiú: 07/09/2009 . igaeilge a d’fhoilsigh. Ranganna: An Ghaeilge, Cúrsaí Reatha, Cultúr. Clibeanna: An Bórd Snip Nua, An Roinn Airgeadais, An Roinn Ghnóthaí Pobail Tuaithe agus Gaeltachta, Éamon Ó Cuív. Dúirt Galileo gur cruinneog an domhan, agus tugadh eiriceach air mar gur chreid na daoine an uair sin go raibh an domhan cothrom (sa chiall fisiciúil atá i gceist agam). Anois is eiriceach é an duine a mhaíonn go bhfuil an domhan cothrom (táimíd go fóill ag caint ar an gciall fisiciúil!). Ach uaireanta tá gá le h-eiriceach chun rud nach bhfuil ag teacht leis an ghnath thuiscint ar an saol a rá ós árd. Tá an domhan cothrom! Ní mise amháin atá á rá sin – mar gur sin príomhtheachtaireacht an scríobhnóra Mheirceánach Thomas Friedman ina leabhar ‘The World is Flat’. Séard atá i gceist ag Friedman go bhfuil an t-idirlíon tar éis an domhan a chothromú – sé sin go bhfuil rudaí, daoine agus tíortha níos giorra dá chéile. Giorraíonn an leathanbhanda an bóthar eadrainn. In ainneoin an méid a dúirt mé faoi Galileo, ní doigh liom gur aon rud réabhlóideach atá á rá ag Friedman. Ina leabhar, mar shampla, bionn cur síos ar go leor samplaí a léiríonn daoine ag obair de reir an phrionsabail gur sraidbhaile beag an domhan seo sa deireadh thiar. Tá daoine san Ind ag déanamh cúntais do Mheirceánaigh ó oifigí san Ind. Tá coras curtha le cheile ag Walmart a thugann le fios do lár oifig na comhlachta cé acu an bhfuil a dhothain d’aon rud in aon storas de chuid Walmart ar fuaid an domhain agus a sheachadann é an lá céanna chuig an siopa atá ganntanas air. Bhíodh – agus tá go fóill – feidhm ag an riail céanna i saol na Gaeilge. Bhíodh daoine ag léamh Lá Nua ar lá a fhoilsithe i Hawaii agus in áíteanna eile nios faide ó bhaile. Tá daoine ag éisteacht le Raidió na Gaeltachta, Raidió Fáílte agus Raidió Rí Rá ar fuaid an domhain agus tá lucht féachana domhanda ag cláracha TG4. Faoi láthair, táimíd ag fánacht ar rud éigean – ar phlean na Gaeilge 2028/2030/?, ar dheimhniú an Rialtais maidir le na ciorruithe atá á bheartú acu don Ghaeilge is don Ghaeltacht tar éis foilsiú Thuarascáil McCarthy (tuarascáil, creidim, a chuirfidh ar cheal an phlean atá á bheartú ag an Aire Ghnóthaí Pobail, Tuaithe agus Gaeltachta d’athréimniú na Gaeilge). Tá Sinn Féin ag baint leasa as an sean náth cáínte – ná cuirtear amú an ghéarchéim – chun cur lena seasamh sa Ghaeltacht agus feachtas á reachtáil acu chun troid in aghaidh na gciorruithe – ach creidimse nach mbeidh aon dea thoradh ar seo, fiú do Shinn Féin. Tá gá le dearcadh atá níos mó samhalaíócht ag baint leis ná freasúra scun scan do na ciorruithe. Tá an tír i bponc – de bharr mí eifeacht agus lofacht na bpolaiteoirí, na mbanc agus na bhforbróirí agus na stat seirbhíseach – agus is fúinne atá sé an tír a thabhairt slán ón bponc. Mar chuid de sin, caithfimid dearcadh nua oscailte a shamhlú agus a shealbhú. Caithfimíd a léiriú do phobal na hÉireann agus an domhain nach ag iarraidh an ‘status quo’ atáímíd, ach ag iarraidh feabhais is forbartha is leasuithe. Má tá an domhan mór cothrom, ba cheart go mbeadh domhan na nGael cothrom freisin…. Foilsiú: 17/08/2009 . igaeilge a d’fhoilsigh. Ranganna: An Ghaeilge, Cúrsaí Reatha. Clibeanna: An Aire Ghnóthaí Pobail Tuaithe agus Gaeltachta, An Bórd Snip Nua, Colm McCarthy, Plean Ghaeilge 2028, Sinn Féin, The World is Flat, Thomas Friedman.